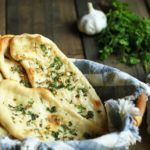 Garlic Cilantro Naan is my favorite kind of naan. 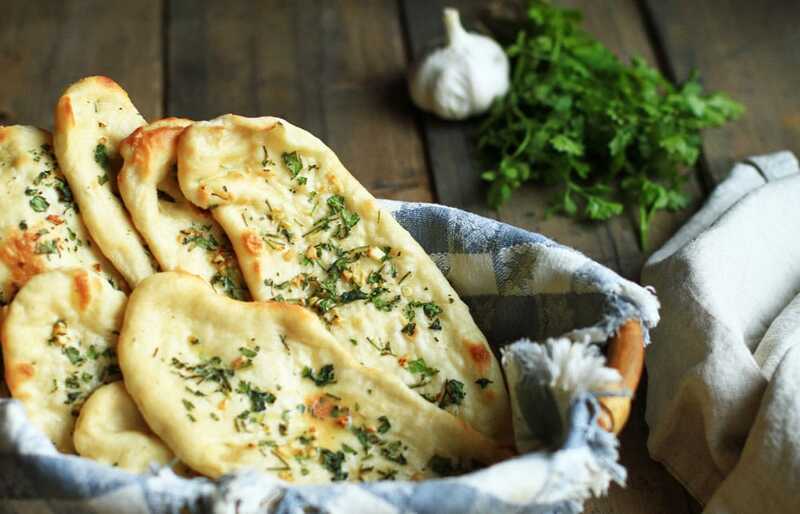 Soft Indian flatbreads with flavor of garlic and cilantro, topped with melted butter. Ahh.. perfect Indian side! Eat it with all kinds of curries as a main dish, or dip raita or chutney in it for an appetizer or snack. They don’t really have to be eaten only to Indian cuisines either, many South and Central Asian countries use this kind of bread. I even had it to Moroccan Butternut Squash soup the other day. You can’t really go wrong with this! 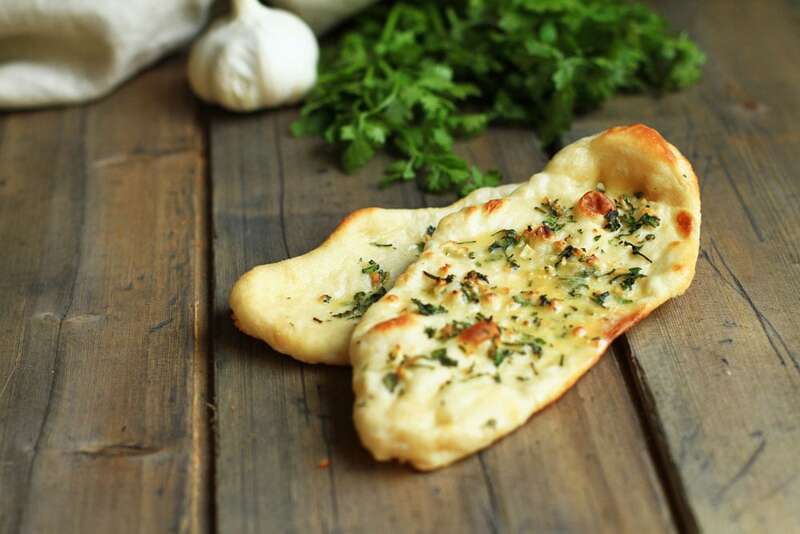 Who doesn’t like to dip bread in flavorful food? 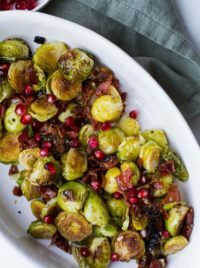 It’s comforting, filling, and can be super tasty! 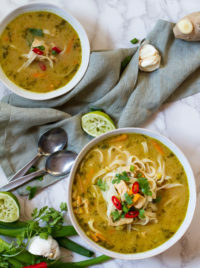 I’ve heard some people think cilantro taste like soap – I know, whaat, but that’s the case. If you’re one of those unfortunate souls, just skip the cilantro. Maybe you’d like it with mint leaves instead? I might have to try that. Next time. 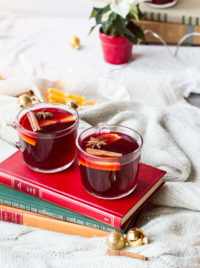 These are very simple to make, but it takes some time. First problem – the greek yoghurt need to be at room temperature. I hate these things, because you have to wait until foreverr to start the actual baking. When that’s out of the way, you’re ready to make the dough! Heat the milk to lukewarm, or in other words, to body temperature 37C (98F). This is to avoid killing the yeast. The yeast needs lukewarm to rise, but too hot and it refuses to. Too cold, nothing happens. I like to be very consistent with this, I’m not sure how super important it is here, but why not be certain. Lukewarm always leads to glorious doughs. Mix the dry ingredients together (including the dry yeast) and then add in the lukewarm greek yoghurt and milk. Mix with a hand mixer or stand mixer. You want the dough to come together and slightly letting go of the bowl. This dough is a little bit sticky, and the more sticky, the less dense the product will be. However, you might want to adjust with a little more flour or a little more milk in order to get the right consistency. Touch it and it will slightly hold your finger, but it will not be this greasy mess. The standard for all kinds of doughs, I suppose. Place a damp towel over the bowl and place in a warm place. I usually place it in front of the heater, but don’t go overboard with this. Just be careful of drafts and very cold places. We need to take care of the yeast almost like a baby! Another boring part – let it rise for 2 hours. I knooow, I’m sorry. But that’s dough life for you. It will definitely be worth it! 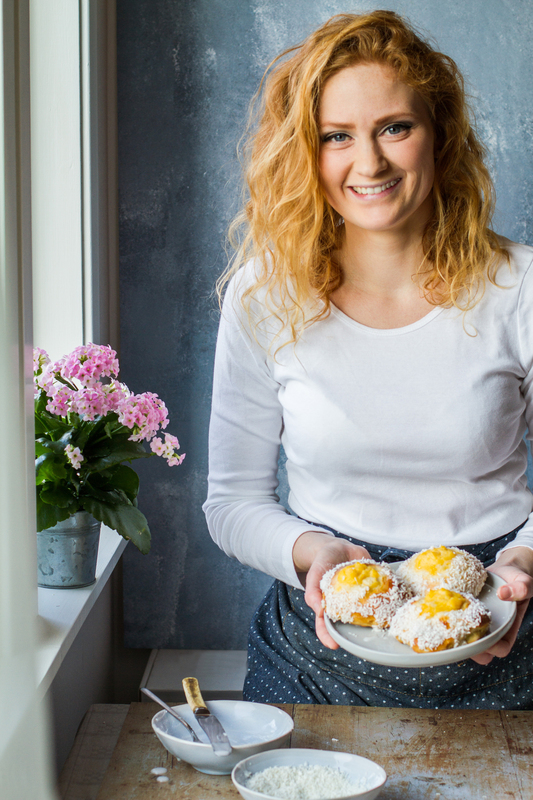 Clean your kitchen counter, dry it up and add flour to avoid sticking the dough to it. Grease your hands with sunflower oil or other neutral oil and knead the dough once more. Make small golf balls of them (I made 15), and start rolling them with a rolling pin. You want them thin, but not paper thin. Be sure it’s not sticking to the counter. 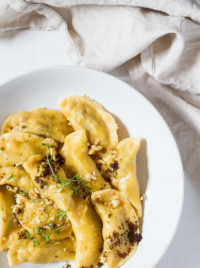 I usually take them up and place them down again when I’m satisfied with the rolling (because of the force of the rolling pin it might stick), and then add chopped garlic and cilantro on top. Slightly pressing them down into the dough. Heat a non-stick skillet with no oil or butter, to medium heat. 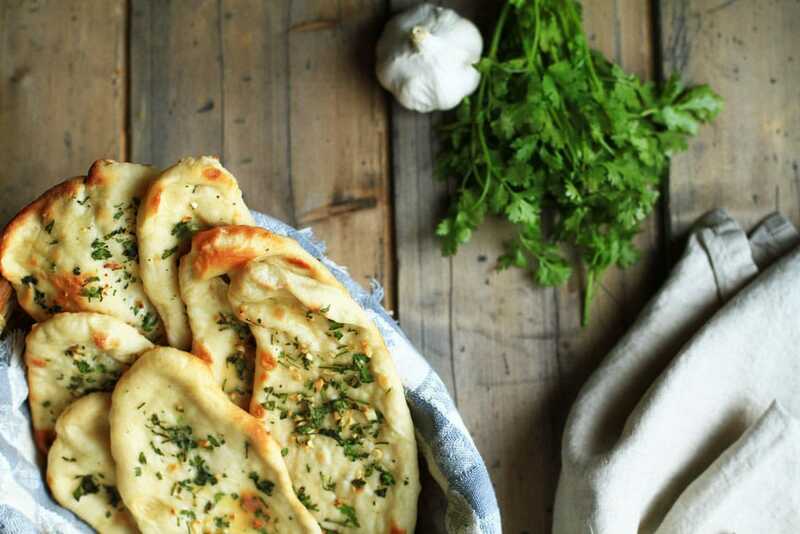 Add one or two naan breads to the pan. Wait a few minutes, carefully checking the underside of the naan occasionally. When they’ve gotten some parts of brown color and start to get firm, they are ready to be placed on a baking tray. Continue with the rest of the naan. Get your oven in grill mode, around 200C (390F). Place the baking tray in the top of the oven and wait until it fluffs up and gets a nice brown color on some parts. This might go very quickly, so I suggest keeping a constant eye on them. Brush them with melted butter and they are done! Serve with whatever you want, I like to serve them with either Indian kebabs and raita or Tikka Masala, both recipes are coming up soon. Enjoy! 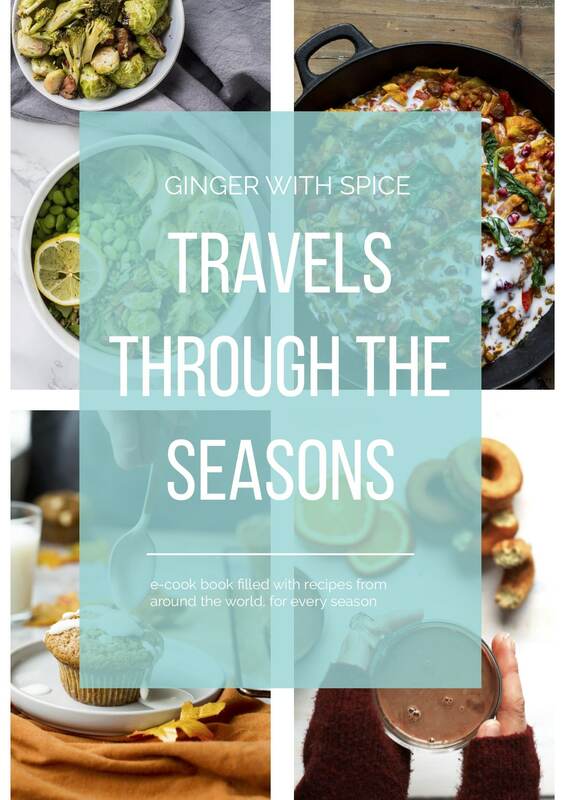 Please tell me what you thought of this recipe, either in the comment section below or tag me @thegingerwithspice or #gingerwithspice on Instagram. And don’t forget to Pin it! This post contain affiliate links, click here to read the full disclosure. 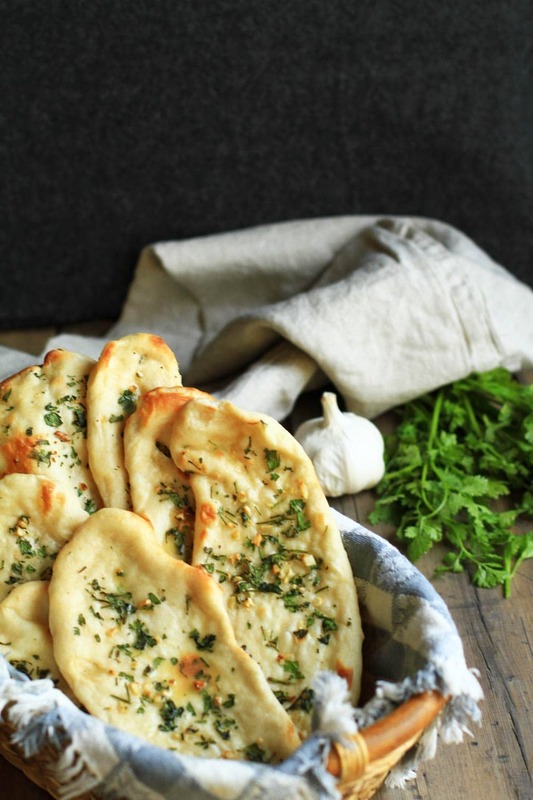 Indian flatbread that is very simple to make and elevates any kind of Indian or spicy food. Make sure your yoghurt is at room temperature. Heat the milk to lukewarm, or in other words, to body temperature 37C (98F). Mix the dry ingredients in a large bowl. Flour, sugar, dry yeast, salt and baking powder. Add the greek yoghurt and mix. Using a hand og stand mixer, mix in the lukewarm milk. You want the dough to slightly let go of the bowl. Sticky, but not greasy. Adjust with more milk if too dry and more flour if too sticky. Place a damp towel over the bowl and keep it in a warm place to rise for 2 hours. Clean your kitchen counter, dry it up and add flour to avoid sticking the dough to it. Grease your hands with canola oil or other neutral oil and knead the dough once more. Make small golf balls of them (I made 15), and start rolling them with a rolling pin. You want them thin, but not paper thin. 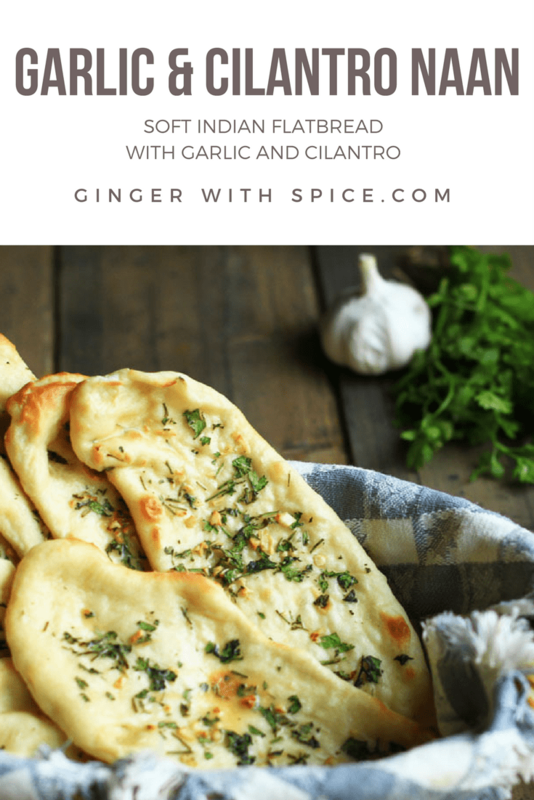 Add chopped garlic and cilantro on top of each naan. Slightly pressing them down into the dough. 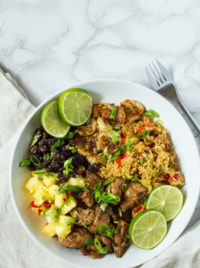 Heat a non-stick skillet with no oil or butter, to medium heat. 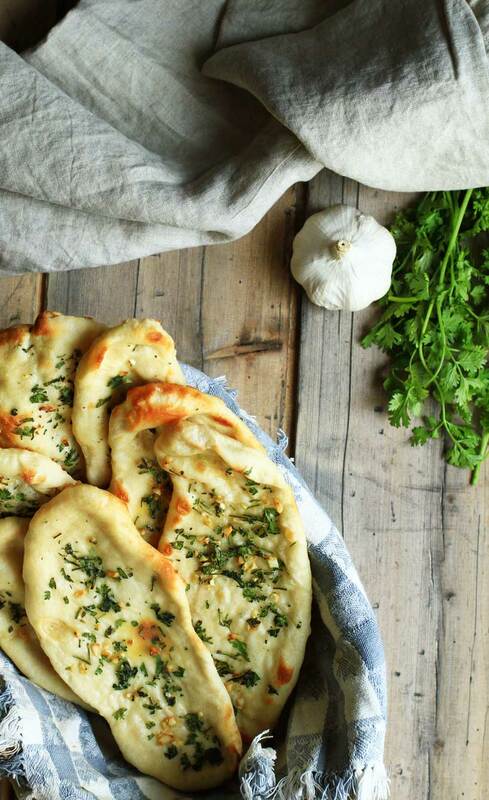 Add one or two naan breads to the pan. Wait a few minutes, carefully checking the underside of the naan occasionally. When they've gotten some parts of brown color and start to get firm, they are ready to be placed on a baking tray. Continue with the rest of the naan. Get your oven in grill mode, around 200C (390F). Once hot, place the baking tray in the top of the oven and wait until it fluffs up and gets a nice brown color on some parts. This might go very quickly, so I suggest keeping a constant eye on them. Brush them with melted butter and they are done! This was the first time I made naan. 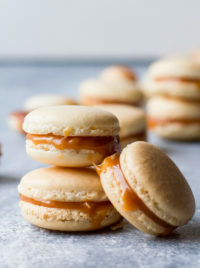 I cooked these per recipe but used a baking store – forgot to brush with butter, but delicious! Also, used a (dry) cast iron frying pan – worked out fine.